Why Does the Gi Rule No-Gi BJJ? Home Editorial Why Does the Gi Rule No-Gi BJJ? Wait, wait, hold your pitchforks! 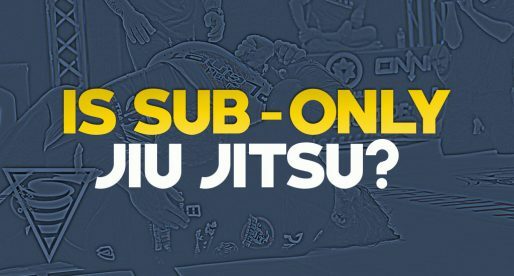 The intent of this article is not to downsize no-gi jiu-jitsu, but find the causes for the gi’s unlikely dominance over the sport’s no-gi events. Although you may think that there is no truth to this claim, it is hard to fend off the facts. As it stands, the only true battlefield where the elite of both gi and no-gi meet is the ADCC. All others offer sub-par and often biased sets of circumstances that favor one style or another. Nothing against this, diversity makes this sport a pleasure to follow, but let us discuss this from level ground. Recently there was a social media meme by the talented Scott Epstein of 10th Planet Jiu Jitsu claiming: “The only reason so many gi guys are winning so many no gi competitions is because they are simply beating other gi guys in no gi“. This is almost 100% true when debating IBJJF events such as the No-Gi Pan Ams or the No-Gi Worlds, where the more recent rules enforced by the federation have closed the event’s doors to many big names of the grappling circuit. This is not, however, what the ADCC shows us. We could go over the ADCC year by year to prove a point, but the data is pretty steady. This year (2015) there were at the very least 28 no-gi specialists competing in the men’s division. There could be more if we were to consider guys such as Jeff Glover or Vinny Magalhaes as no-gi experts, but given that they still compete with the gi on occasion, and both have gi backgrounds we have left them out of the equation opting to label them as “hybrid grapplers”. 28 is certainly not a dominant figure, the no-gi crowd is still a minority (35% to be exact). Not all the remaining grapplers on the show were 100% gi, in fact “only” 53% were active gi competitors while the remaining were varied, with MMA and hybrid styles. The tournament was dominated by gi competitors, we knew this already with Rustam Chsiev being the only no-gi specialist to medal (bronze at 88kg div. ), but with such a disparity in numbers of athletes, the odds were against them anyway. We need to check the matches individually, particularly the ones where a no-gi stylist went against a gi specialist. Gi: 23 wins; No-Gi: 4 wins – Please note these are direct wins between one style and the other, not overall wins of either. No absolute matches were accounted, as they would not be regarded as even circumstances. This is a pretty defining statistic, a tough one to challenge. Now, logic would be 100% against this stat. How is it possible to be better at something by focussing on another? Let’s be clear. No one, not even the most religious gi fanatic, is preparing for a no-gi event of this magnitude by running a training camp with a gi. All took time out of their schedule to adapt to the tempo and grip changes involved in a no-gi contest. This still doesn’t make up for the fact that many others have been focussing on the no-gi for years on end without the same success. For someone who has been following the sport for over 15 years, one factor stands out like a sore thumb in this debate: Competition. The gi has year-round tournaments, matching up the top grapplers in the world consistently through an excellent network of challenges proposed by organizations such as the IBJJF, UAEJJF, Copa Podio and many other state circuits, particularly in Brazil. We have all heard that old proverb “iron sharpens iron”. Although no gi’s proving grounds are growing in numbers – particularly it seems in the submission only format, it still lacks consistency in quality and numbers. This is clear when we see grapplers such as Eddie Cummings (who is a total badass by the way) win sub-grappling event after event with one “game”. 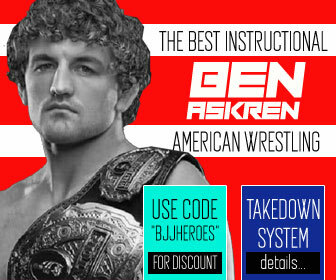 How many high-level gi competitors can afford to do this in a big gi tournament? There are exceptions to this rule, but the vast majority we see time and time again start in the lower belts, consistently winning the top tournaments through the ranks with an “A” game, and as they reach the black belt division – struggle to succeed and opt to adapt/evolve. Even the headstrong berimbolo masters, Miyao brothers have added a serious passing game since arriving at the big leagues of jiu-jitsu. Grappling is universal, if you put someone who is an absolute stud gi competitor, and take his gi away, it won’t take him long to adapt. The reverse will likely happen with a person who excels at no-gi. Much like, say putting a highly prized NFL running back playing as a center for a rugby team, he is almost guaranteed to reap great results. 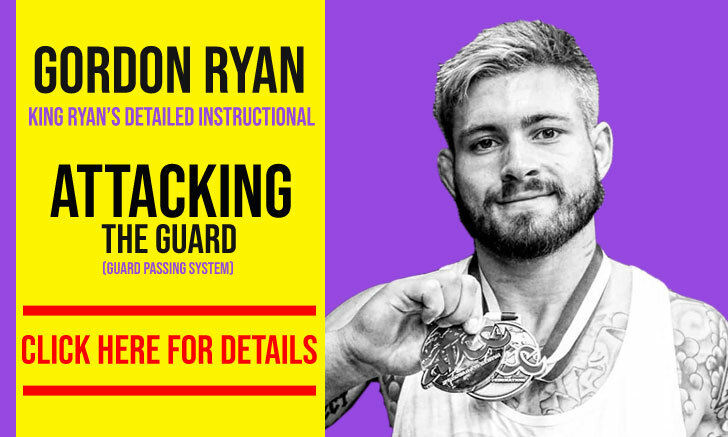 The key differentiator of gi and no gi is that the gi athlete will have been thrown against the best consistently, pushed to the limit, tested and adapted to all sorts of other highly skilled competitors on a regular basis. 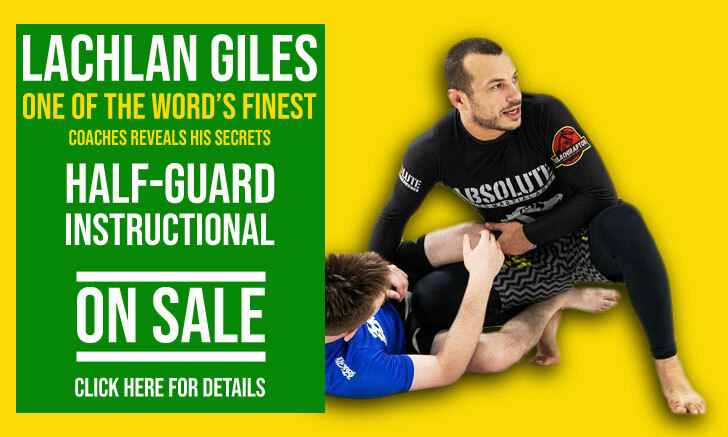 The chances of that had happened with the no-gi specialist are fewer and far between. 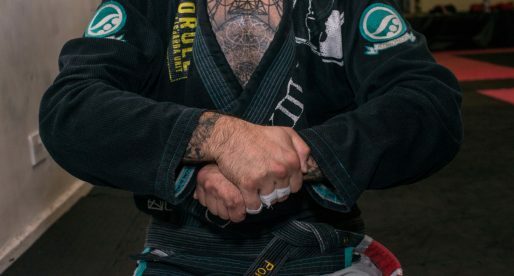 GI Jiu-jitsu has been growing tremendously these past 4 years, and instead of seeing the gap between the two aspects of BJJ getting closer, the gap seems to be getting wider. This is also noticeable when reading the ADCC results. Just to give you an example, no-gi medalled 10 athletes in 1998, 11 in 1999, 7 in 2000 and 6 in 2001, and been losing terrain ever since. This is likely not because the submission grappling athletes have diminished in quality, but due to the leaps forward taken by gi jiu-jitsu in terms of volume and quality of its competitive outlets. 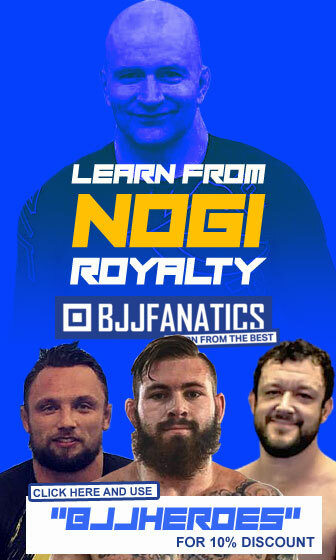 So the solution is simple, a more organized structure for no-gi specialists to test and evolve their skills, this is the challenge faced by the no-gi followers for the future. No Gi Worlds Day 1: Tonon and Dopp out, Khera & Satava In! Great article! This pointless arguement has been going on forever, but people gotta be realistic and understand that it isn't an even playing field yet, so arguing about this topic is really lame. Another interesting art leg to post would be about how 90-95% of the top MMA fighters are No-Gi or wrestling practitioners. Go competitors win grappling competitions always due to the high volume of competitions as mentioned above. The problem when translated to MMA is, gi players have no qualms with playing off of their backs, and using closed guard, a great way to get punched in the face. They also tend to favor Judo over Wrestling for takedowns. Those of us who practice and train in both realize that a NCAA wrestler vs a Mundial level BJJ player would get tapped most of the time in a grappling match. The pendulum swings to the opposite style when punches and elbows are allowed. 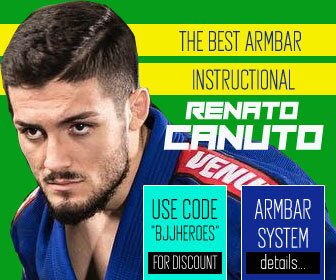 If you want self defense and grappling, train BJJ and No-Gi Jiu-Jitsu. If MMA is your goal, focus on wrestling and No-Gi. Not sure how you would quantify this Mike. Wrestling isn’t jiu jitsu but for jiu jitsu’s biggest MMA representatives, the majority built their BJJ careers in the gi: Demian Maia, Ronaldo Jacaré, Fabricio Werdum, Charles Oliveira, Rafael dos Anjos, Jose Aldo, Jussier Formiga, the list goes on.